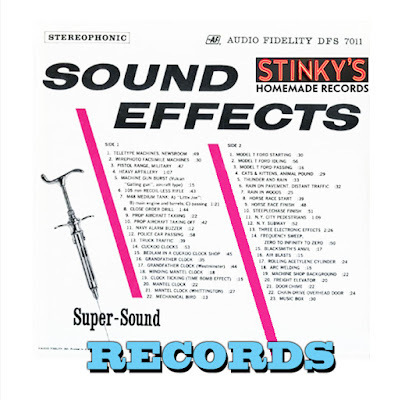 It's time for the second volume of Stinky's Sound Effects Records, twenty tunes ranging from the doo wop era through the present day, from sandy beaches to steaming jungles, from apemen through garbagemen, from subterranean tube stations to stratospheric satellites. 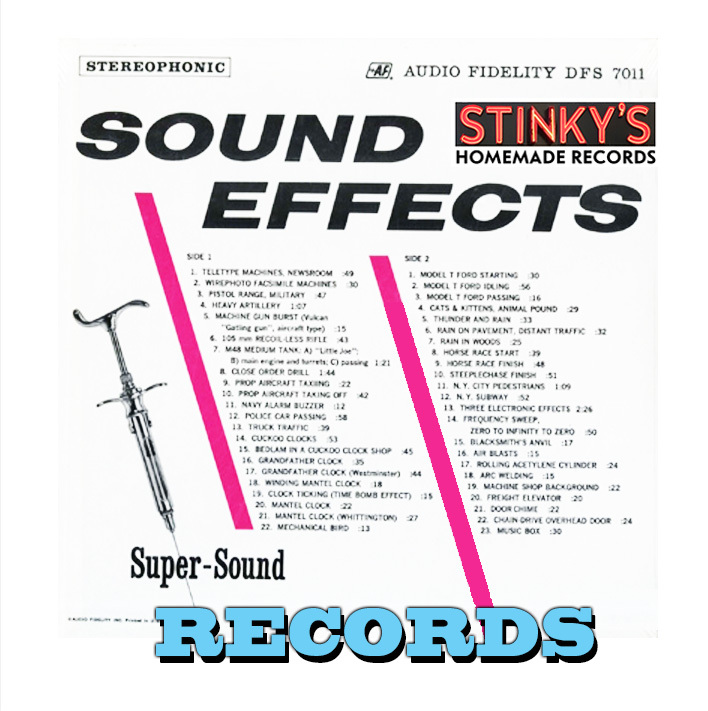 No doubt you are already searching the jukebox of your mind palace to guess what Stinky might have up his malodorous musical sleeve this time. The roar of rockets and hot rod engines? The screams of animals and desperate men? Squealing brakes and squalling sirens? The charming chime of a child's bicycle bell? Enjoy the mix. To all friends and readers of this humble blog, I wish you peace, happiness, good health and good fortune for the New Year. If it's Stinky, it's got to be good. Thanks, guys - cheers! Can smell it from here. Cheerio and Toodle Pip! Good on ya for the New Year Mate!